Apple season is one of my favourite things about fall. You can make Applesauce, Apple Cheddar Soup, Apple Buttermilk Biscuits, Cranberry Apple Cinnamon Baked Oatmeal…and of course lots of yummy desserts. 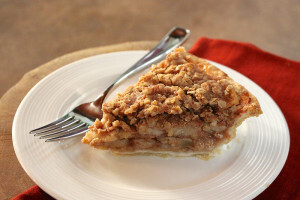 Some of my favs include Glazed Apple Pie Bars, Apple Crisp and Apple Cake. Can you tell my family grew up in the apple country on Ontario and really love our apples? Thornbury and the rest of the Blue Mountain area has the perfect conditions for growing amazing apples thanks to the micro-climate and soil conditions created by Georgian Bay and the Niagara Escarpment. We buy our apples all over Ontario, but whenever I’m up there I always stop in to grab a half bushel. 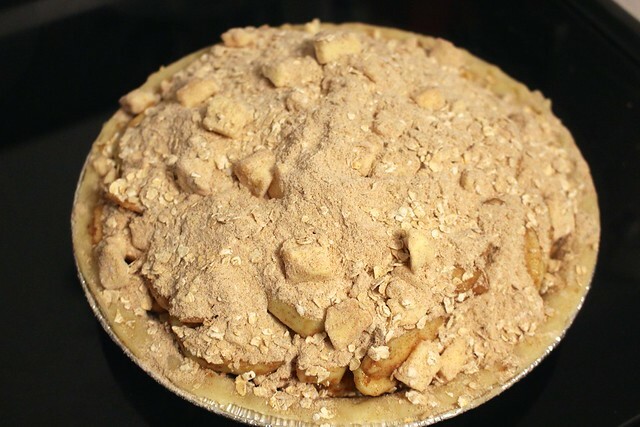 Last weekend Garrett and my dad were working hard installing the pot lights in the garage/home gym, so I thought I’d surprise them with a Dutch Apple Pie for dessert. It was so easy to put together, but it feels like such a treat when a warm apple pie shows up at the dinner table. 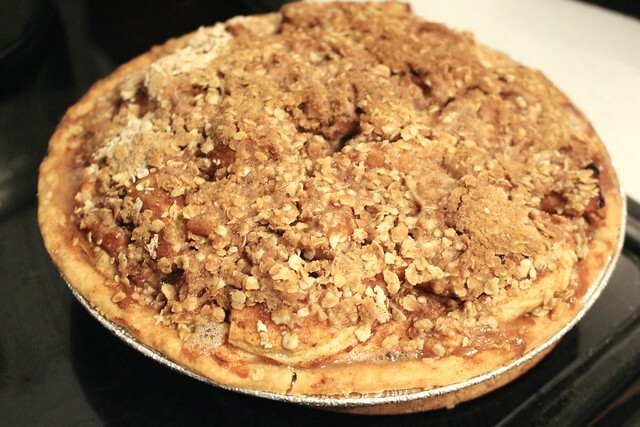 This recipe feels like part pie and part crisp, with a streusel topping. Preheat oven to 375°F. Make pie crust or used a store bought crust. In a small bowl, mix together sugar, flour and cinnamon. 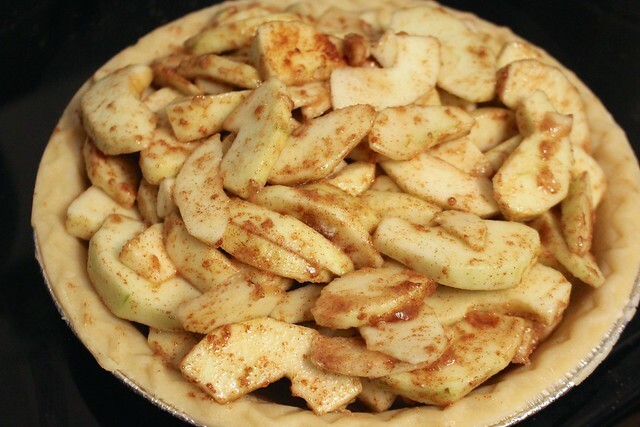 Sprinkle mixture over apples in a large bowl and toss until coated. Pour into pie shell. In the same bowl, mix oats, flour, brown sugar and cinnamon. Cut in butter until it resembles a coarse crumble. Sprinkle over filling. Bake for 50 minutes. Let rest for 30 minutes before slicing. Preheat oven to 375°F. 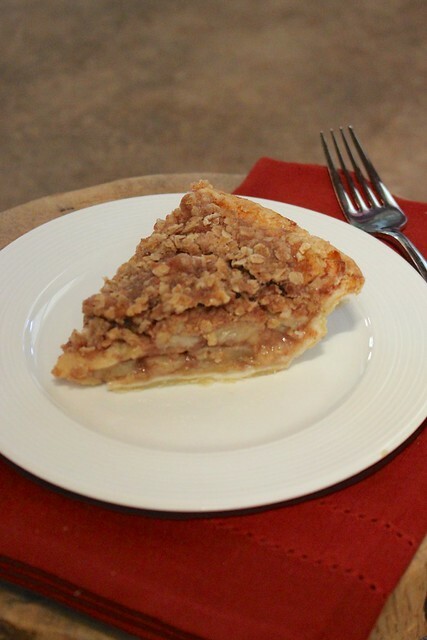 Make a pie crust or used a store bought crust. In a small bowl, mix together sugar, flour and cinnamon. 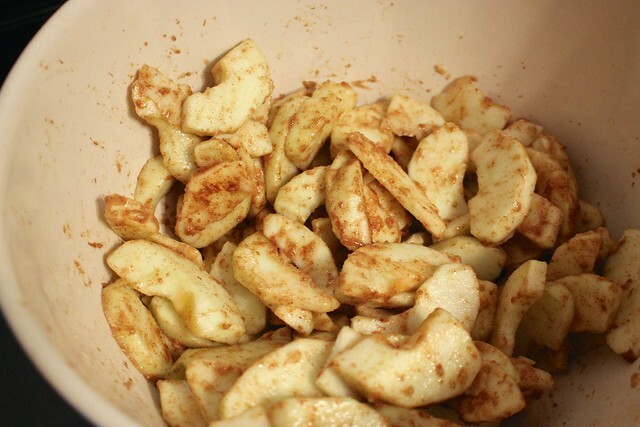 Sprinkle mixture over apples in a large bowl and toss until coated. In the same bowl, mix oats, flour, brown sugar and cinnamon. 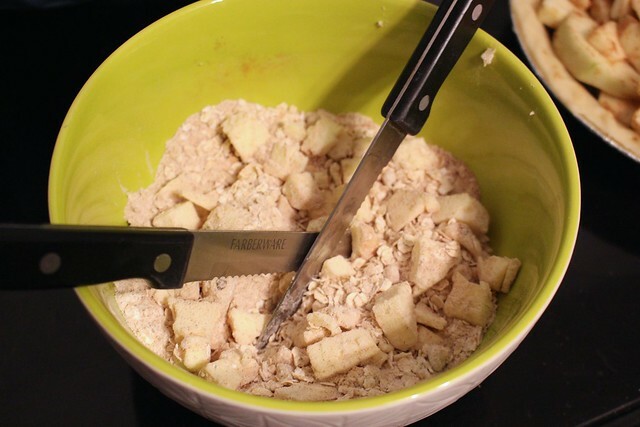 Cut in butter until it resembles a coarse crumble. Sprinkle over topping over filling. Bake for 50 minutes. Let rest for 30 minutes before slicing. Serve with vanilla ice cream, sliced cheddar cheese or on it’s own. 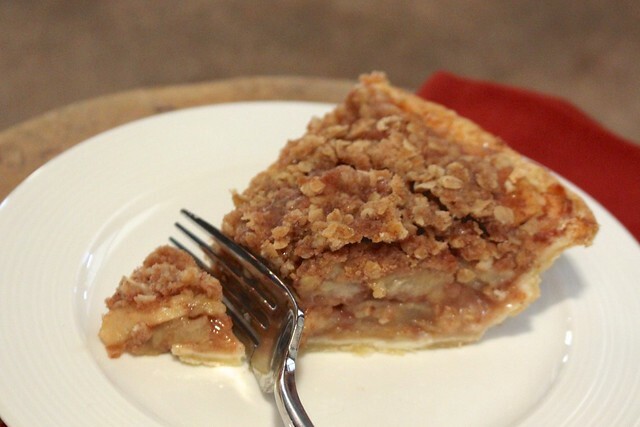 Any way you take it – apple pie is good!